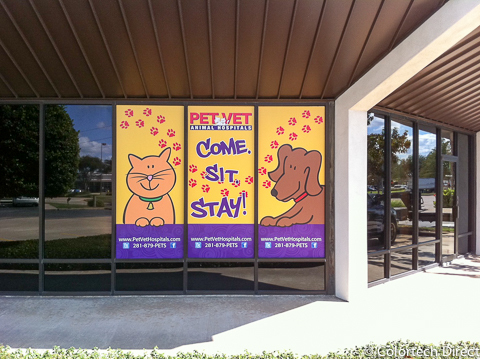 Window graphics are an extremely versatile way to display a message, convey important information or add a decorative flair. 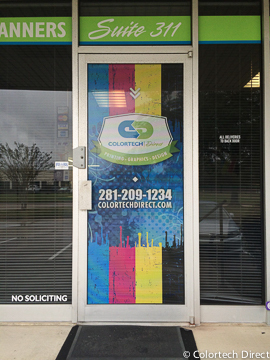 Perfect for vehicles, storefronts or interior office windows, they install quickly and easily with minimal interruption to your business. 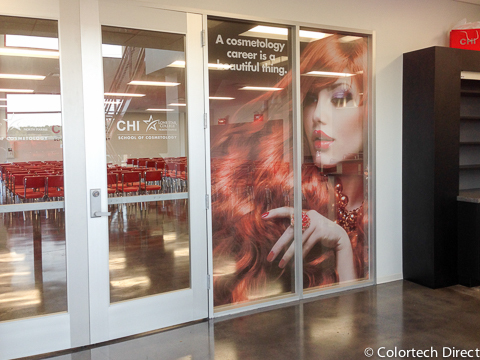 Perforated Window Film is a one-way viewable film that allows stunning graphics on one side and a clear, unobstructed view from the other. 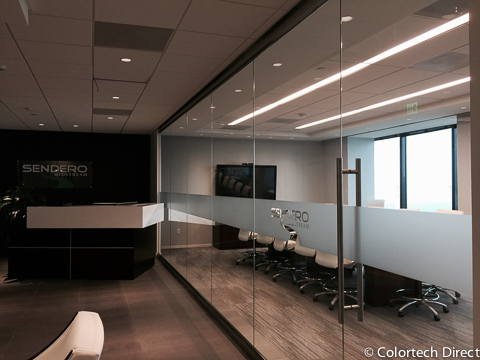 Virtually all glass surfaces now have the potential for maximum visual impact. 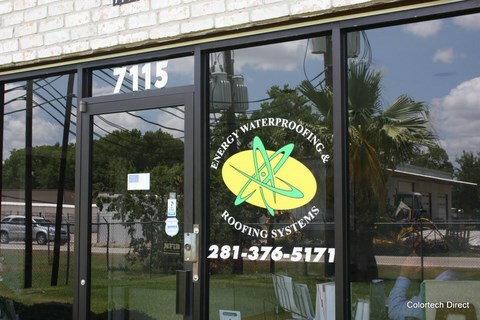 Vinyl Lettering & Logos can be custom printed in just about any color and cut in endless shapes, offering an excellent way to keep the integrity of your company logo intact. Froasted vinyl gives the look of Etched Glass at a fraction of the cost and does not alter the surface like traditional chemical etching. It is removable with no damage to the glass or mirror. 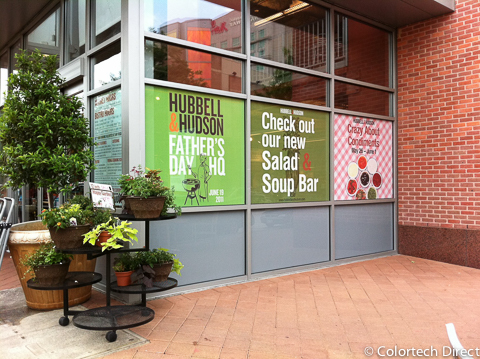 Vinyl Cling material offers a perfect solution for storefronts that want a temporary and easily exchangeable message. Similar to the adhesive vinyl, the cling material can also be printed and cut into custom shapes. There are so many options available, how can we start your design today? 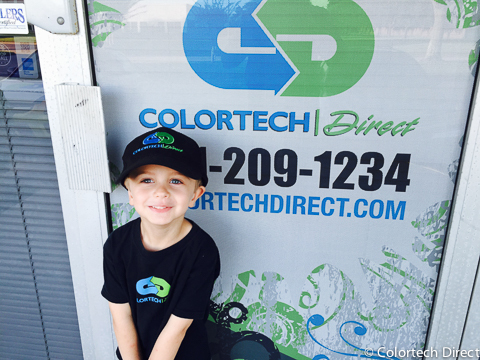 It's a family business here at Colortech. This little guy loves coming to work with mom and dad. 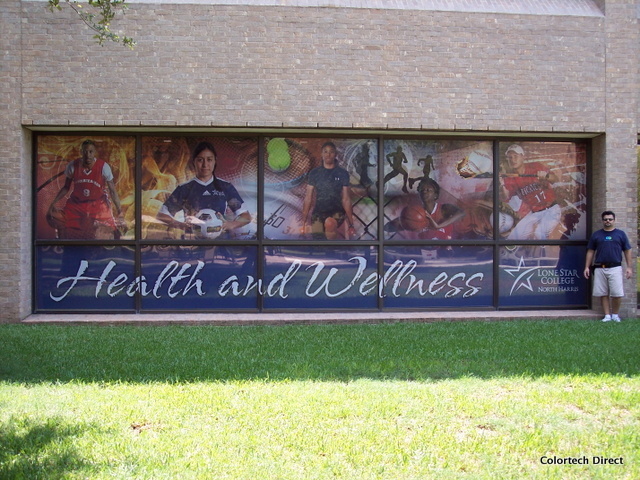 Large window graphic using view through window film. 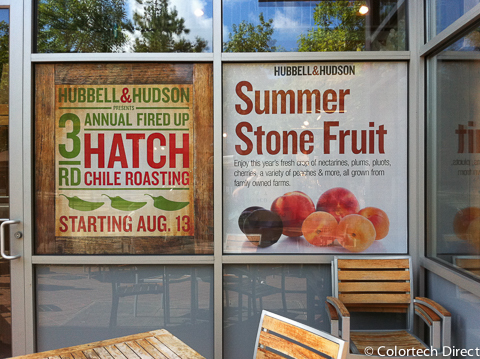 Storefront window graphic using view through window film. 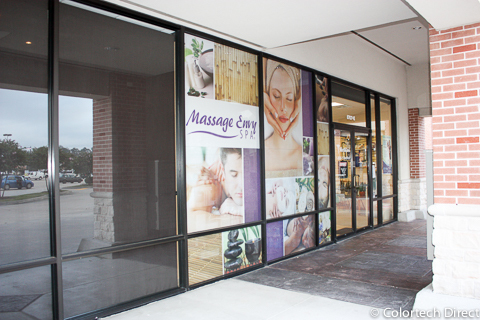 Storefront window graphic using perforated view through window film. Window mural using perforated window film. 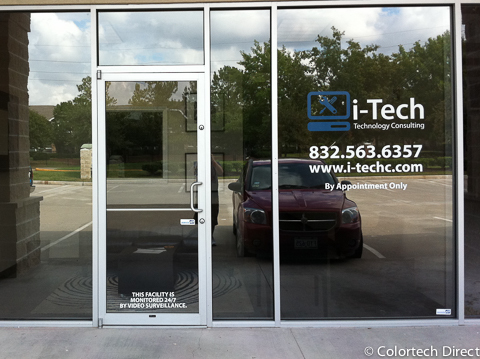 Storefront window graphics using view through window film and custom vinyl lettering. Storefront window logo and lettering. 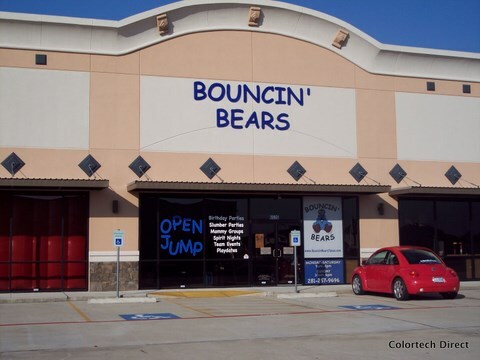 Large storefront vinyl lettering and graphics. 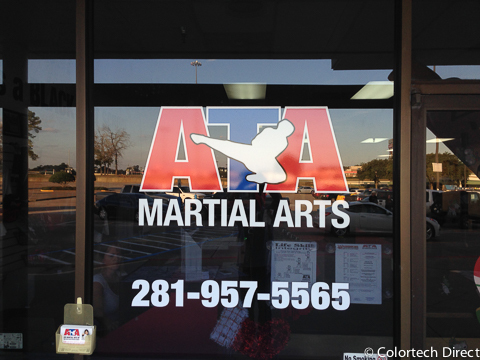 Large logo on studio window. 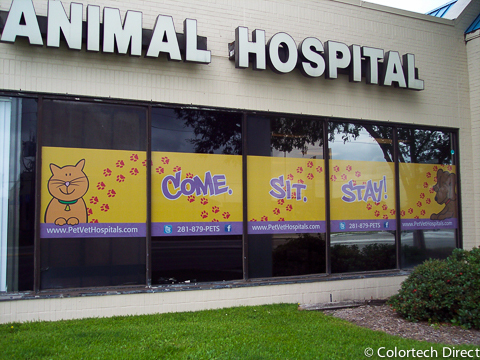 Oversized window graphics using perforated window film. 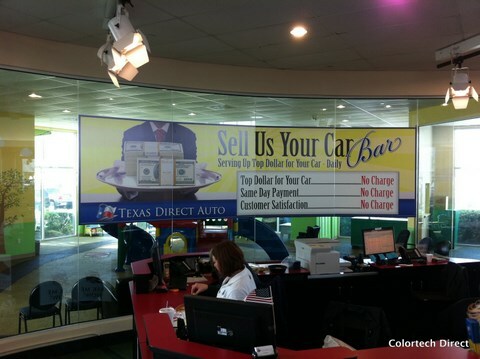 Large window graphic using view through window film and vinyl lettering. 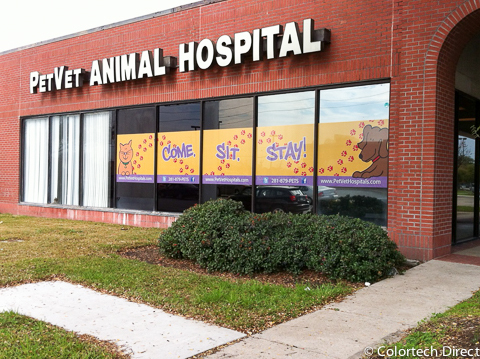 Large window graphic using perforated view through window film. 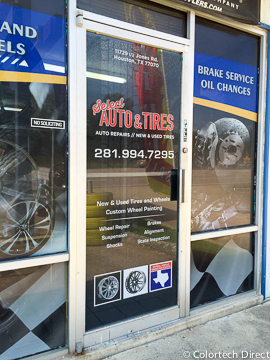 Large window graphic printed on vinyl for an interior window. 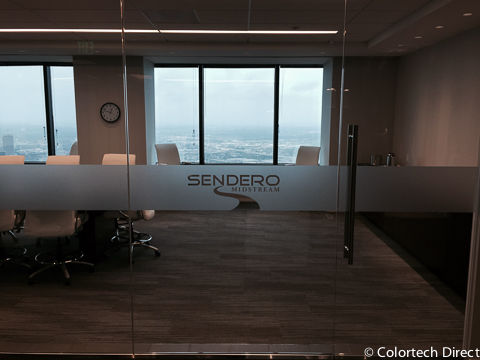 Frosted vinyl applied to conference room glass give the appearance of etched glass without being permanent. Vinyl logo and lettering for a storefront. 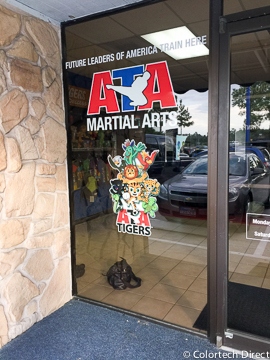 Front door window graphic using perforated view-through window film.